Michael Sternberg’s practice covers the two main areas of family work – financial remedy and child cases. He has a substantial practice in high-value financial cases and is instructed by a number of the top London firms. He regards negotiation as of great importance in getting the best result in the speediest time at the lowest cost to the client. So many of his cases settle avoiding the costs and publicity of what would otherwise be high profile contests. The financial work involves not only the latest developments in family law, but also a high degree of expertise in company law and valuation, farming divorce cases, prenuptial agreements, tax law and cases where there is a conflict of jurisdiction. Unusually Michael also has extensive experience in difficult child cases. He was instructed consistently in the past not only by the Official Solicitor, and Cafcass Legal, but also by local authorities in highly demanding cases in the High Court, Court of Appeal and House of Lords, which have raised difficult questions of fact and law. Michael is an expert in contests between England and Wales and other jurisdictions as to which should decide the divorce – both in respect of Brussels II (revised) and generally – also in relation to injunctions to prevent a party from proceeding with divorce in a foreign jurisdiction. He has lectured on the topic. Michael has acted as an advocate to the court in a series of reported decisions. He succeeded against the UK Government in relation to a breaches of Articles 8 and 12 of the ECHR, on behalf of a post-operative transsexual, heard by the Grand Chamber in Strasbourg (I v UK  2 FLR 518). Michael was previously listed as a leading junior in the relatively small list of practitioners in London within The Legal 500 since 2001. Chambers Guide to the UK Legal Profession also for many years rated him as one of the few leading juniors. Michael is a member of the Family Law Bar Association and he was the Assistant Secretary from 1986 – 1988. Michael is also the author of two chapters in David Davidson’s book “Pensions and Marriage Breakdown “ 3rd Edition (published by the Law Society in 2005). Michael was in 2009 nominated by the Chairman of the Bar to chair a joint tribunal set up by the Bar Council and the Law Society / OSS to resolve major dispute between a leading junior Barrister and a prominent firm of solicitors. Michael was one of only 3 Leading Counsel to be invited to appear as a principal speaker on issues of spousal support after divorce, at the Butterworths Lexis Nexis Matrimonial Finance and Divorce National Conference on 28th April 2010. On 4th February 2011 Michael chaired a day conference on advanced financial remedy topics at the RAF Club attended by over 100 solicitors at which 5 QC’s spoke. He chaired a similar financial remedy day conference for the White Paper Company in January 2013 and twice in January and April 2014. Michael is a Qualified Mediator and Collaborative lawyer. In September 2011 he attended the first course run by The Chartered Institute of Arbitrators to become one of the first Family Law Arbitrators. In March 2013 Michael chaired Lexis Nexis webinar on all aspects of ADR. Michael is the Chair of the Trustees of the Three Faith Forum – the country’s leading active interfaith charitable agency, which since 1997 has been generating understanding, goodwill and friendship between Muslims, Christians and Jews, as well as people of other faiths and in the wider society. Extremely experienced family practitioner who focuses on complex ancillary relief proceedings for high net worth individuals. He is additionally noted for his specialism in matters relating to pensions. An experienced silk specialising in both money work and private law children matters. His peers single him out for his “incredible attention to detail.” He is also a qualified mediator and arbitrator. Highly recommended by peers for his work on both high-level matrimonial finance disputes and contentious children law matters. Comes much recommended for his broad-ranging family law practice and draws much praise for his work in both high-value ancillary relief matters and complex child cases. The “meticulous” Michael Sternberg QC has a broad family law practice and is highly rated for his work in both the children law and matrimonial finance spheres. He is regularly instructed in high-value ancillary relief cases and complex child abduction matters, and is an accredited mediator and collaborative lawyer. ‘If battle is required’, Michael Sternberg QC is ‘your chosen gladiator’. Michael Sternberg QC ‘thinks outside the box and is a great strategist’. Michael Sternberg QC has a mixed practice but won most support from the market for his children work. His recent cases include D v D, R v R, and S v S, all of which were contested children and ancillary relief cases where millions of pounds were at stake. 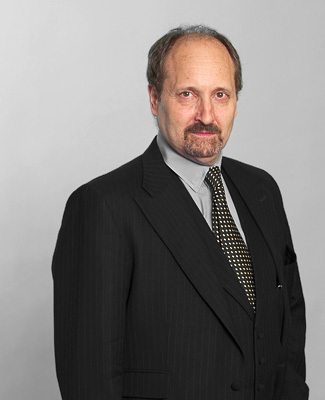 Michael Sternberg QC ‘provides a first-class service and often comes up with creative solutions to difficult problems’. New silk Michael Sternberg QC is a “meticulous and detailed” barrister who carries out both ancillary relief and children-related matters. He has a particular interest in cases with an international dimension. Michael Sternberg QC who has ‘excellent attention to detail’, and is ‘very good at cross-examination’. Michael Sternberg is “first choice for anything with an international dimension – be it Hague Convention, forum shopping or money matters.” He is still best known for his varied work with children.